Violate Them At Your Own Risk! 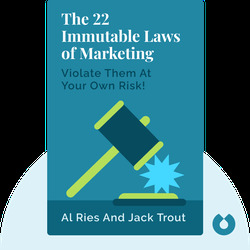 The 22 Immutable Laws of Marketing (1994) gives you the essential knowledge to build powerful marketing strategies. With practical, real-world examples, these blinks show you how to avoid common mistakes while ensuring your marketing push will stand fast against the toughest competition. 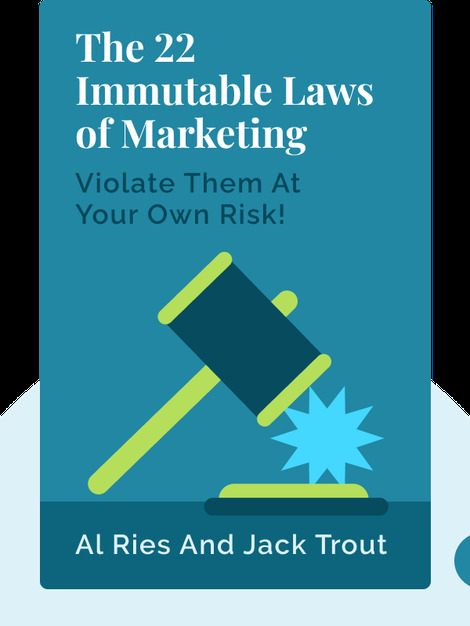 Al Ries and Jack Trout are two renowned marketing gurus who have published a number of marketing books, including Marketing Warfare, Bottom-Up and Horse Sense. They have consulted for and worked at top American companies such as Apple, AT&T and Procter & Gamble as well as for high-performing companies in Latin America and Asia.